Moments of contentment come to you in the strangest ways. Seeing your children succeed in school and sports, enjoying the time you have with your family at the table or just watching the changing hues of the fall sun setting low in the sky. It can all put you in a great mood, feeling good about that unique time and place. That little capsule of your life, of relaxation and feeling satisfied, is what we all long for. However, life can get in the way, and then you are instantly back to the realities of the rest of your day. Moments are fleeting; memories are forever. Food has always been one of those catalysts that spurs moments of contentment for me. I had one of those experiences the other day. It came in the form of a complimentary bowl of miso soup. While waiting for my sushi order-yes, there are hectic days when you just need to pick up dinner-I ordered a nice cold Asahi and with that, I was given a little bowl of miso soup (Miso-shiru). Soup in Japanese cuisine is not just an afterthought but rather a serious piece of business in their culture of dining. 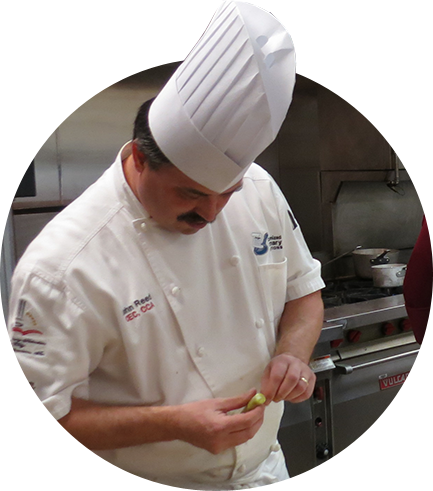 Soup is meant to be enjoyed throughout the entire meal, and great attention is paid to its preparation. A bowl of shiru (soup) is a primary construct in a traditional meal and represents a cornerstone-one of four parts of the base menu. Soups range from delicate broths prized for their emphasis on clarity and aroma to others thick and focused on richness and mouthfeel, representing the season. In the preparation of Japanese soups and simmered dishes (nimono ), a primary stock is made from konbu and katsuobushi, two traditional ingredients noted for their umami characteristics. I am not going too deep into the chemistry behind the different compounds supplied by the two items separately. The miso also brings a whole other level of chemistry to the table. What is easy to do is describe the flavors and sensation it brings when perfectly executed in a bowl of a perceived simple miso soup. Miso soup has a depth of flavor that first starts with the aroma. There are notes of salt, ocean and earthiness in the nose. Clear soups are often served in a covered bowl, so when the guest is ready, they can lift the lid and smell the nuances of the garnish often chosen to reflect the time of season. My readers should remember the issue on shun. The looks of the soup are also intriguing, as the miso, stirred in at the last moment before service, is in motion as it moves with the thermal waves within the dish. Finally, you have little elements of texture from the grain of the miso, silkiness of the tofu and chewiness of the seaweed garnish. After all that, you just sip and slurp the soup and relish the savory taste of the umami, the warmth of the dashi and the moment when you finish, when you are content. There are a lot of things in a bowl of soup. Making memorable soups and stocks can be a forgotten skill in the modern kitchen, where soup wells, boil-in-the-bag and concentrated bases rule the day. However, I have faith that on these early days of fall, the soup pot comes out, and time is spent making soups that have as much complexity of flavor and thought as does a perfect bowl of miso soup. 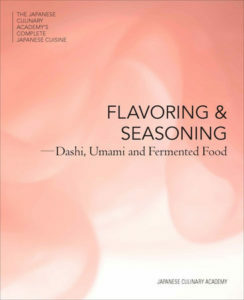 If you are interested in the chemistry of Japanese flavors and cooking processes, here is a good read, and of course a little “geeky,” which you know I like.